In last week’s blogpost, Irene O’Daly explored the world of portable books — manuscripts that are small enough (and light enough) to be carried around by the user. 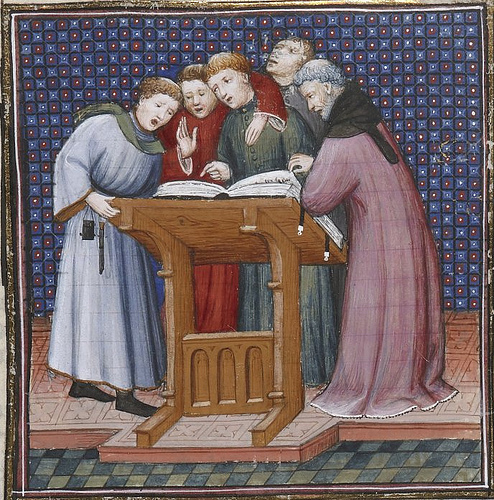 In today’s post we shift our attention to the opposite end of the ‘size-spectrum’ and examine some of the largest manuscripts ever produced in the Middle Ages. 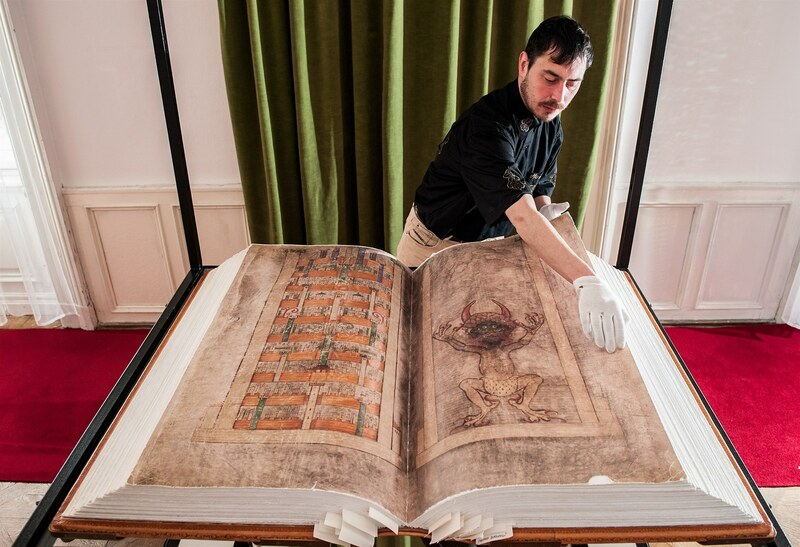 While most medieval manuscripts are of a size that could be easily picked up and carried, there are some books that are so large and so heavy that it would take two (or more) people to move them. 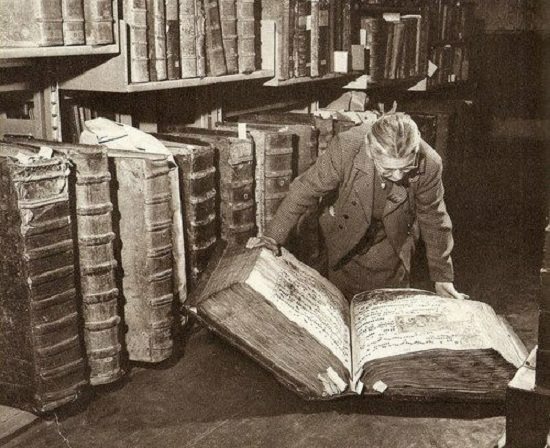 Among these are volumes known as ‘Giant Bibles’. These books typically contain a complete collection of the Old and New Testaments and present huge dimensions. 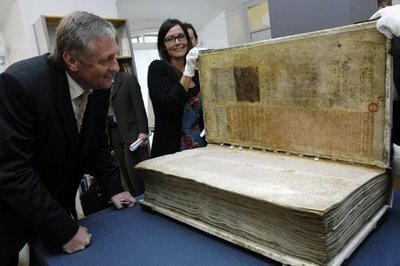 One particularly famous large-format Bible is an early thirteenth-century pandect known as the Codex Gigas, which measures (a whopping) 890 x 490 mm and weighs over 165 pounds. In addition to the Old and New Testament, the Codex Gigas also contains two texts by Flavius Josephus, Isidore of Seville’s Etymologiae, and a collection of medical treatises. The manuscript is also commonly referred to as the ‘Devil’s Bible’ because of a large full-page miniature of the Devil on fol. 290r, as well as a myth surrounding the book’s creation. It is said that a monk named ‘Herman the Recluse’, broke his vows and was sentenced to be buried alive in the walls of the monastery. His sentence would be commuted, however, if he could copy a book containing all human and divine knowledge in a single night. Despite Herman’s best efforts, around midnight he realized he could not complete the task, and was forced to call in a favour from the Devil, who finished the manuscript in exchange for the monk’s soul. 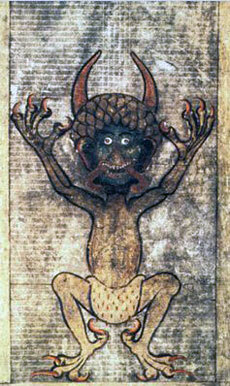 The miniature was painted in homage to the Devil. But why, exactly, were these books made so large? There are a number of potential explanations on offer. In the first place, size tends to reflect importance. 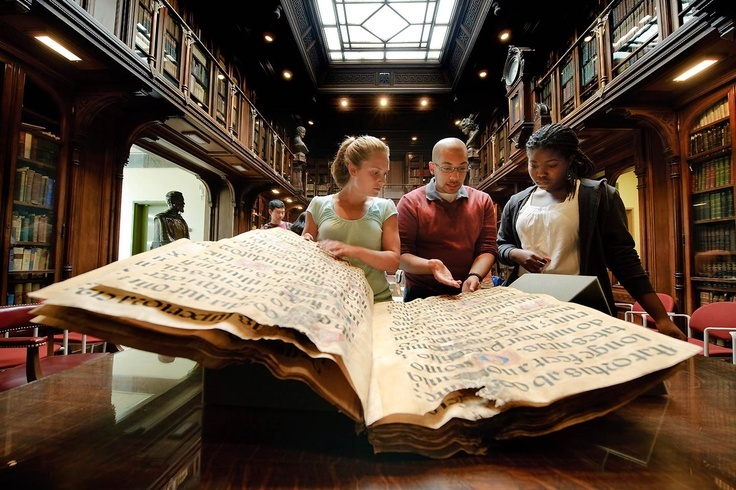 Because large-format manuscripts often contain the Word of God, it is very possible that some bookmakers wished to reflect the importance of the text with a suitably impressive material format. Alternatively (or perhaps additionally), some have suggested that these books were meant to reflect the power and prestige of the donors who paid for their commission — a wealthy bishop or nobleman perhaps, who wished to memorialize his name in the production of a massive and showy pandect. 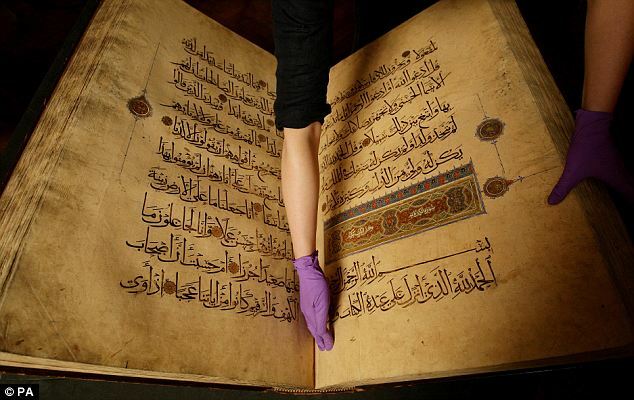 Others have provided more pragmatic reasoning, suggesting that these books were designed big in order to rest on a lectern for public reading — their large size making it easier for readers in a church to see the page. In most cases, it is likely a combination of these factors that motivated some bookmakers to create gigantic manuscript volumes. 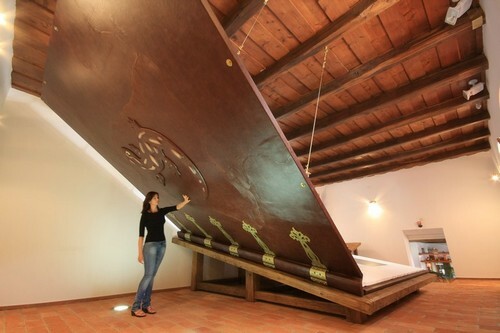 Largest Book in the World? This entry was posted in Jenny Weston, Project News. Bookmark the permalink.